Sidney Campbell, the first music master at BHCHS, and composer of the School Song, was born and bred in Ilford. Music was, for him, a second career, having spent some years as a bank clerk. 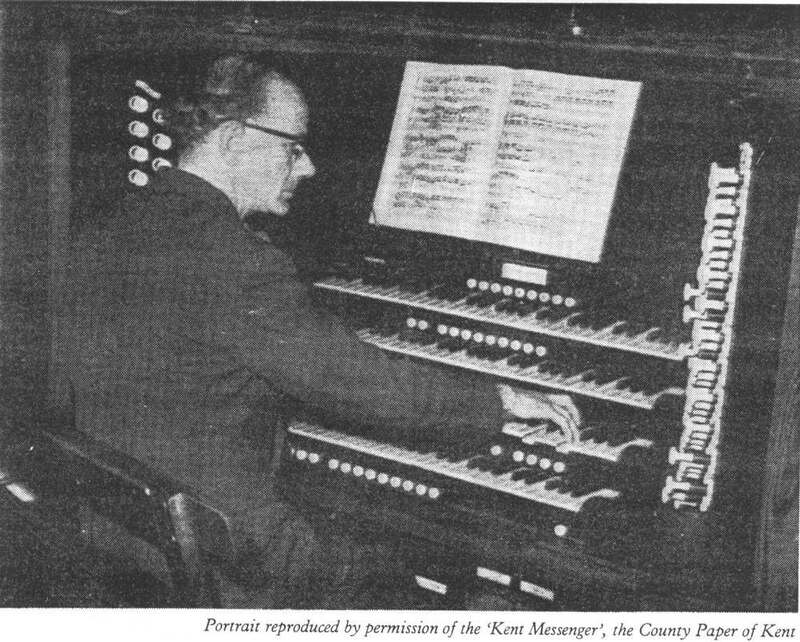 After leaving BHCHS, he became Sub Warden of the Royal School of Church Music and then held successive posts as Cathedral Organist at Ely, Southwark and Canterbury, finally holding the prestigious post of Organist and Master of the Choristers at St Georges Chapel, Windsor. 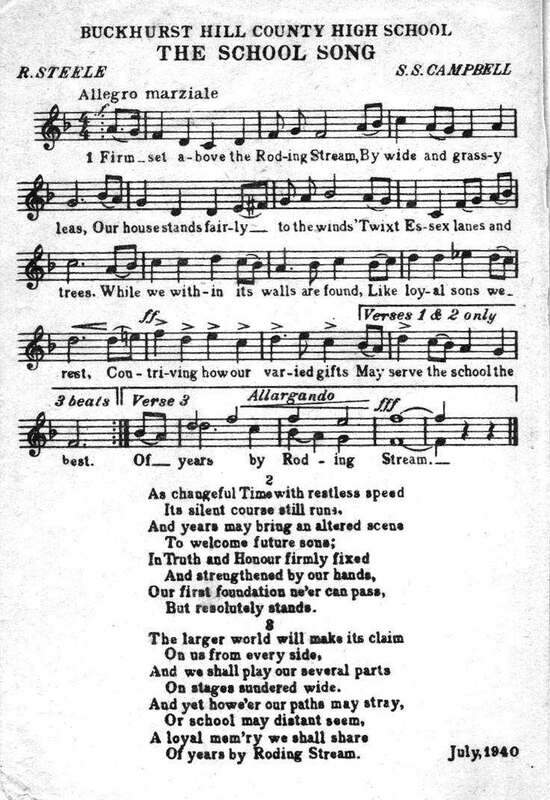 The words of the song were written by Ralph Steele, the first Head of English at BHCHS, who taught at the school from 1939-51. We believe the School Song was not heard at the school after the retirement of JH Taylor in 1966. 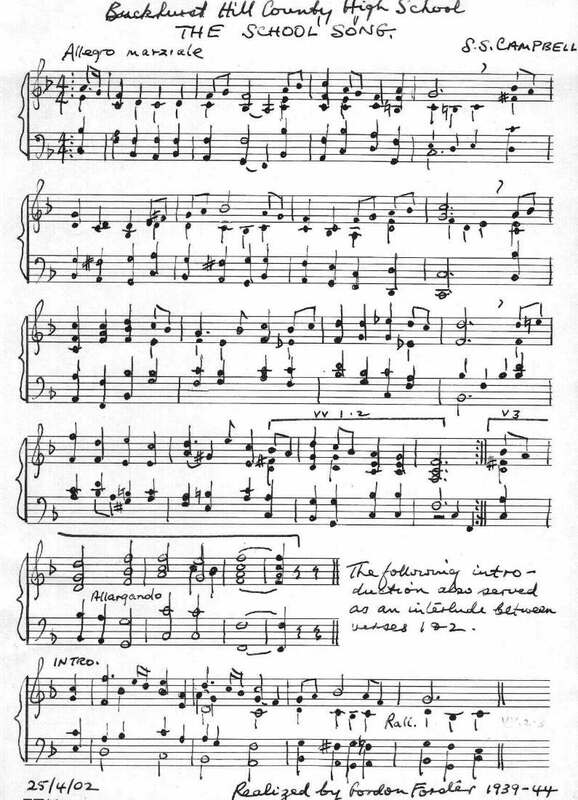 Here is the music of the School Song - this is a scan from Spud's own 1953 Hymn Book! Click on the link to see a larger version.